A home without art seems cold, empty, don’t you agree? As an art lover myself, I love putting pieces of art on display because these add color and life to any room. 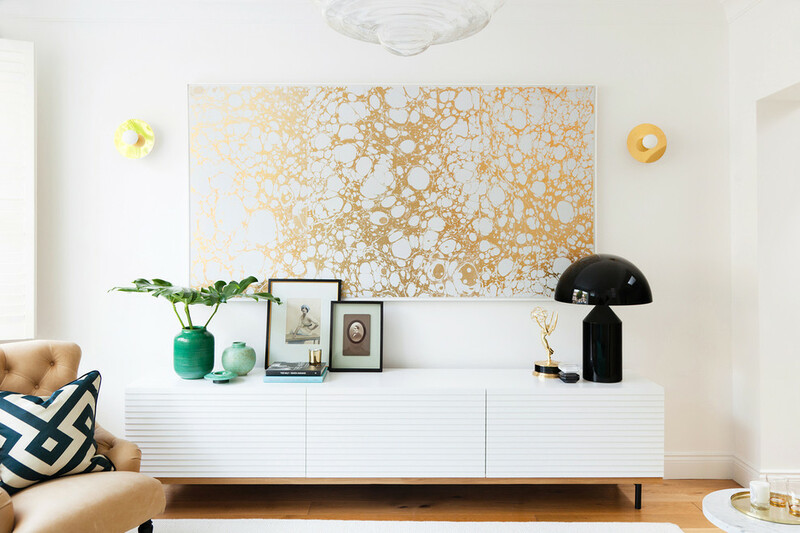 There are really a myriad of ways to display your art collection at home but if you need more help, we’ve got lots of apartment design ideas for you! An artwork in the bathroom? The bathroom may seem like an unusual place to display pieces of art but this apartment design idea will radically change the look and feel of the room, trust me. No need to drill holes either, this design idea is rental-friendly. Just pop a framed artwork on the shelf and that’s it. You can display the artwork on its own or accompanied by smaller artworks for a layered look. One thing though, the moisture and steam in the bathroom may damage certain artworks so I’d use canvas paintings or aluminum photo print instead of unframed or paper artworks. Here’s a great spot for putting large artworks on display: the blank space behind your living room console! This is a great spot to show off your fine taste in art without drilling holes on the wall. Just let the framed artwork lean against the wall then frame the display with smaller decors. Stacked books, a couple of sculptures, or matching lamps will give the display a fabulous, lived-in look. Most people tend to hang artworks too high when the pieces should be hung at eye level, especially in the living room where people are almost always seated. If you prefer hanging the painting, hang it low, about 20 centimeters from the bottom of the frame to the console. This helps ground the display to the console table. Got several pieces of art that you’d like to put on display? Add visual balance to the space by displaying these pieces together in a group. Mixing different pieces of artworks makes for a dynamic display! Do not be afraid to mix and match portraits, mixed media, or photography in a single display, art is all about self-expression and having fun, after all! When planning the arrangement, keep the heavy pieces to the bottom and left. The eyes tend to scan a space from the left. With the heavier pieces on the left, the weight of the artworks is kept balanced. For two-floor rentals, this apartment design idea is for you: hang artworks at a blank wall space in the staircase. The staircase makes a terrific place for hanging artworks because it’s a traffic-heavy spot yet it’s often overlooked. 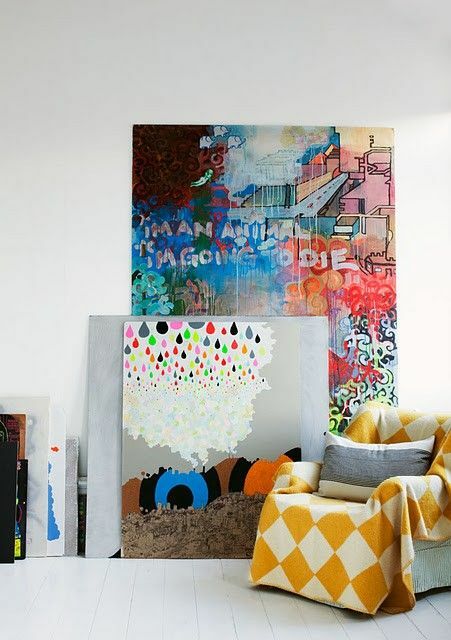 An artsy makeover should turn an otherwise unnoticed spot into an eye-catching part of the home. You can put pieces of artworks at the bottom of the stairs, at the top on the landing or even tucked under the stairs. If the staircase has a naked wall space, decorate this spot with more paintings! You don’t need an elevated spot to hang a variety of artworks. A small slice of floor space will work just as well as a blank wall when it comes to displaying art pieces. This apartment design idea will work with different sized paintings although it will look best if you use large to oversized pieces. Use the smaller pieces to give the arrangement a more lived in look but really, how the display looks will depend on the way you style it. Wouldn’t it be nice to be greeted by beautiful works of art each time you step inside your home? Decorate your mudroom or entryway’s blank walls with a variety of gallery arrangements to give this spot visual interest. I highly recommend including more than just framed art in the mudroom, combine different sized framed artworks to make this space come to life! You want to set the paintings or framed artworks at eye level in the center and then work your way outwards. 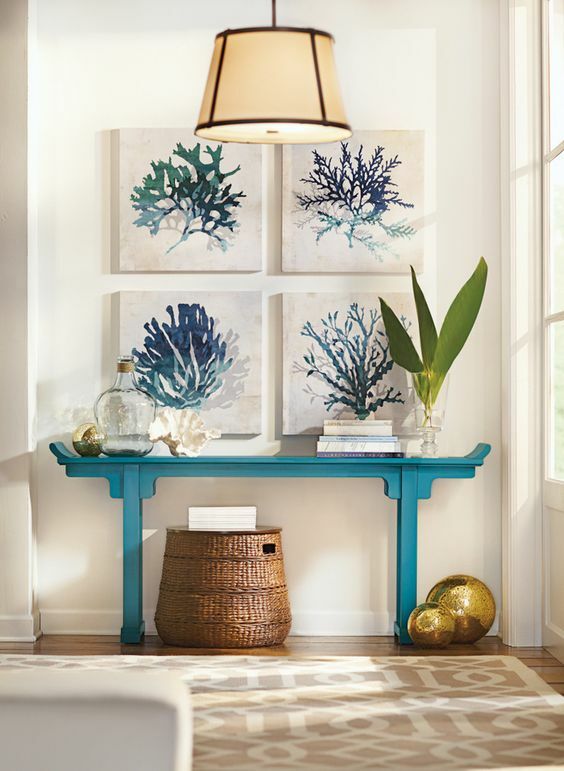 Give each framed artwork breathing room and don’t crowd them for an even-looking display. 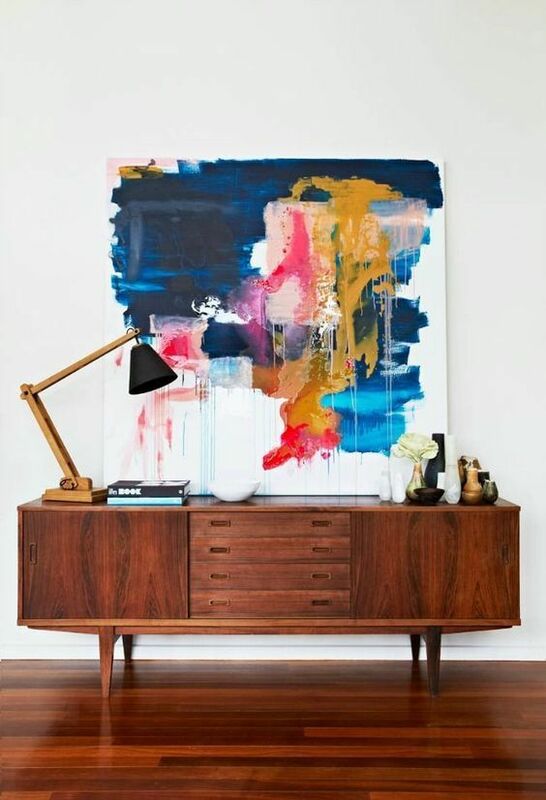 If the wall behind your bed or above your headboard is looking a little too plain, hanging a sizable painting is a great way to add a pop of color to the room! When decorating the bedroom with artworks or framed photos, you can stick to personal art such as family photographs, paintings you’ve made or artworks that speak to you on a more personal level. You can opt for a large painting that covers the entire wall behind the bed, go for a medium-sized framed artwork or group different sized artworks together in a gallery! Really, there is no shortage of choices when it comes to decorating the blank wall space above the headboard! 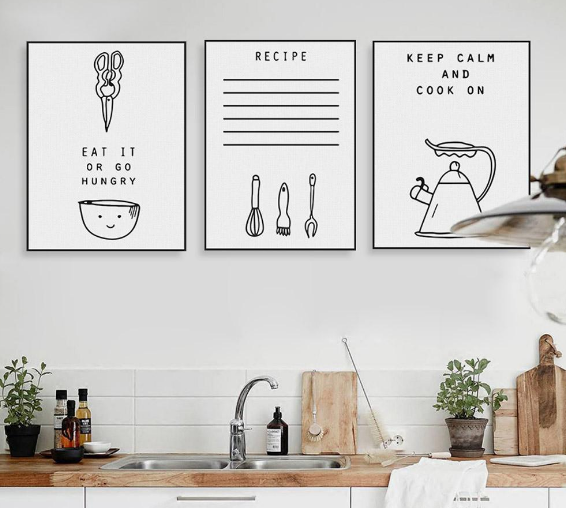 The kitchen, which is one of the most traffic-heavy rooms in the home, is a great place to showcase colorful artworks of any kind. We’re talking framed works of art that aren’t just food-related. A colorful artwork adds cheers to your day, especially in the mornings! This is a fantastic place to display abstract, or traditional oil painting. You can set the painting above or near your breakfast bar and perhaps, behind the sink, near the pantry, high on a shelf or the blank space that connects the kitchen to the dining area. As you can see, there are so many apartment design ideas to choose from when it comes to displaying pieces of art in the home! Which one is your favorite? Tune in for more apartment design ideas and interior design tips. we’ve got lots more coming your way!